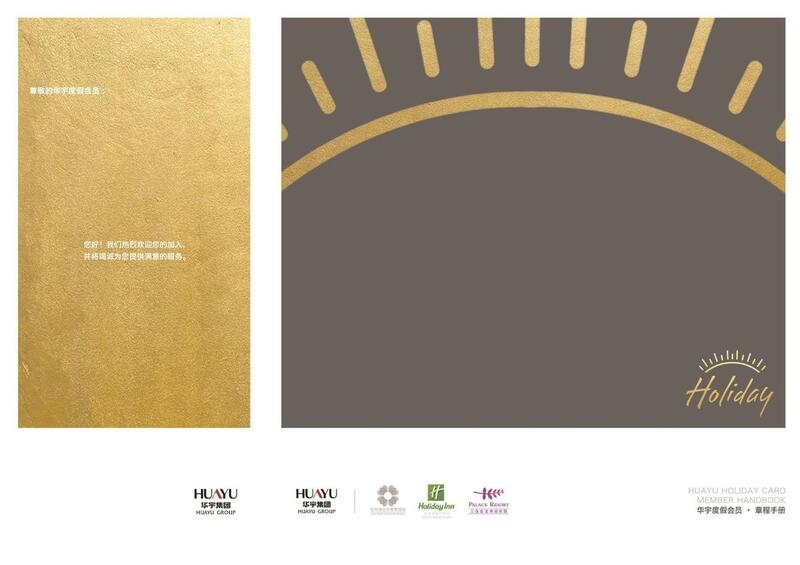 Join in Huayu Holiday Card Program to get at most 24 room / night per year and start a pleasant journey! Room / night mentioned above is available with 3 Huayu hotels as Holiday Inn Beijing Deshengmen, Huayu Resort & Spa Yalong Bay Sanya and Palace Resort Yalong Bay Sanya. Room / night balance is available for one year which starts from the entry day instead of calendar year. Complimentary Room / Night：Available in specific Huayu Hotels as mentioned above. Note: Room type is the basic category of each hotel and subject to hotel availability. Extra payment is required for room upgrade as per guest own request. Other privilege：Enjoy special room discount once balance exceeded. 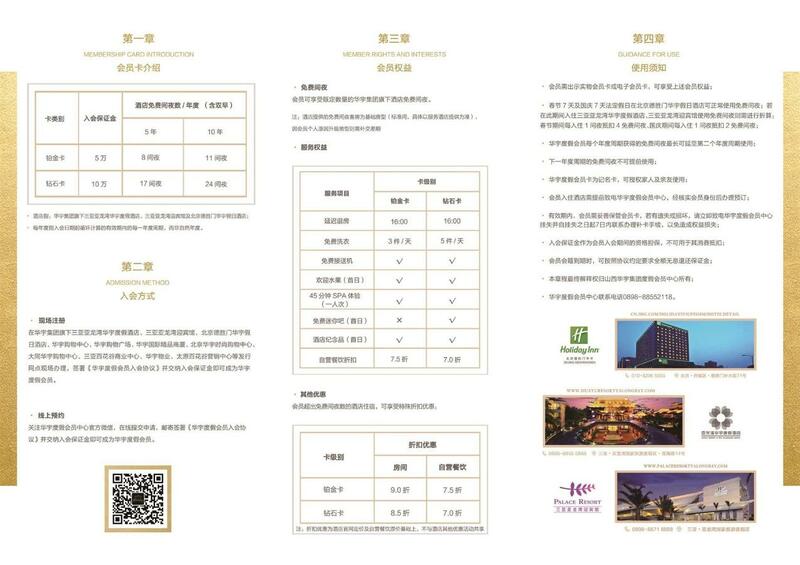 On-site register is available with 3 Huayu hotels as Holiday Inn Beijing Deshengmen, Huayu Resort & Spa Yalong Bay Sanya and Palace Resort Yalong Bay Sanya. Sign the "Memembership Agreement", pay the card deposit and become Huayu member. 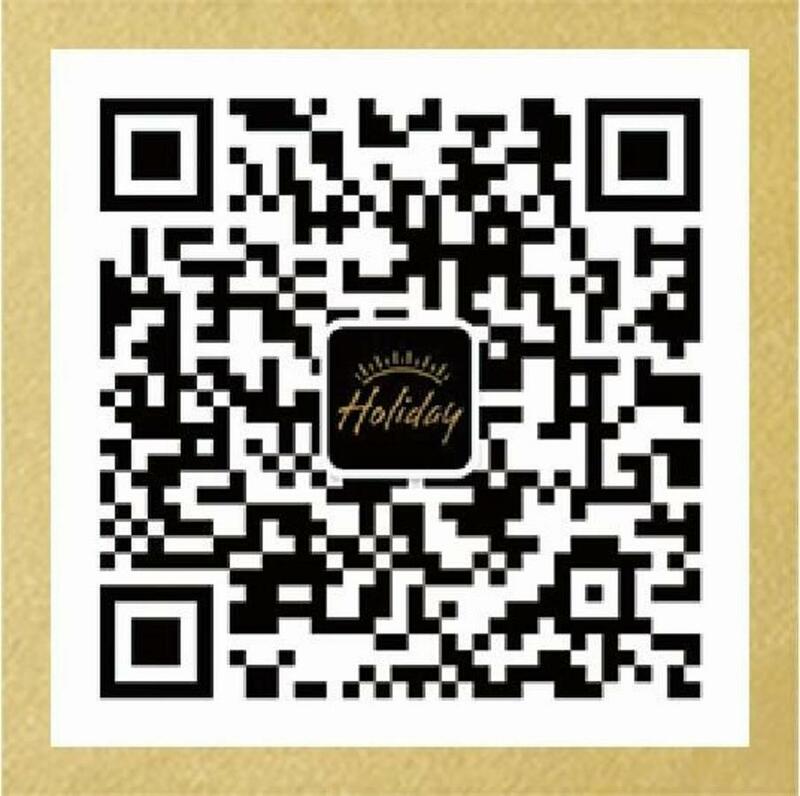 Follow us via Huayu Holiday Official WeChat account and submit Entry Application. We will mail you with the "Memembership Agreement" for signature. Pay the card deposit and become Huayu member.